Citizenship applications for the Caribbean island of Grenada have boomed in the last three years. Reports have emerged that Grenada’s citizenship by investment program, introduced in 2014, is being used to fast-track US E2 visa applications. Grenada is the only Caribbean country with a fast-track citizenship program, which signed a Commerce and Navigation Treaty with the USA. 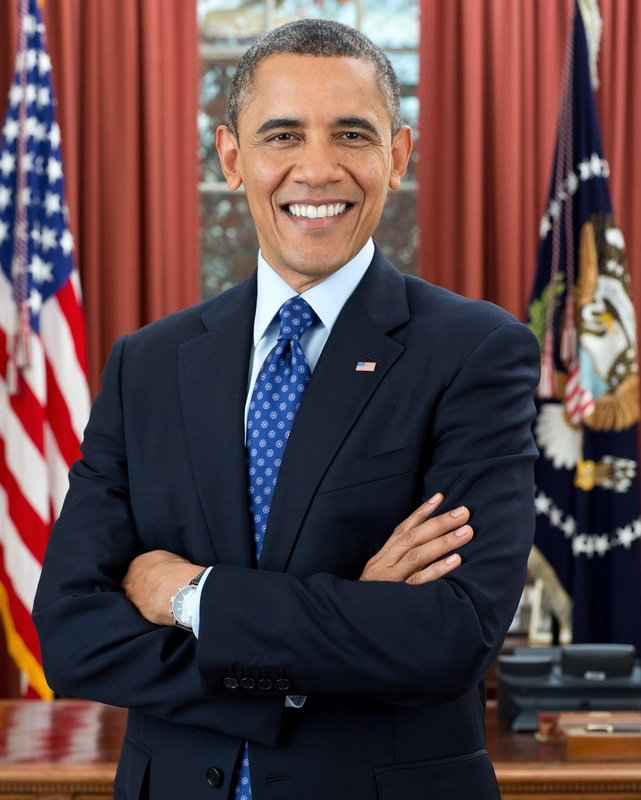 As a result, Grenada’s citizens are eligible for the US E2 non-immigrant visa. This means Grenadians can secure and US E2 visa with a substantial investment in a US-based business and employing some US citizen or US resident staff. The rise in Grenadian citizenship applications is partly attributed to the ever-increasing backlog of immigration applications in the US. Citizens of China, El Salvador, Guatemala and India in particular are facing severe delays, with some facing a 10-year wait. As a result, wealthy foreign investors are applying for citizenship in Grenada and then filing an application for an E2 visa for the US. The E2 visa category is a non-immigrant visa category which can continue to be extended as long as the business continues in the US. This may be preferable for some wealthy investors who wish to avoid the possible tax consequences of a green card. The Grenada citizenship program as a route to gaining an E2 visa may be worth considering for some. However, requires a significant investment. In some cases you can gain an E2 visa as an investor after investing say tens of thousands of dollars. Much less than the minimum cost of $200,000 for the Grenada Citizenship by investment program. The Grenada citizenship program may be worth considering for nationals of Countries not on the E2 Treaty Investor or E1 Treaty Trader country List. It should be noted that Grenada is on the E2 Treaty Investor list. Not on the E1 Treaty Trader list. In most cases this probably does not make much difference. According to a report published by Forbes, a minimum investment of $200,000 (US) will secure Grenadian citizenship within 12 weeks. Once citizenship is obtained an investor, along with his or her family, can submit an application for an E2 visa in the US. The Forbes report claims that an investor’s entire family could be in the US within 8 weeks. Overall, obtaining Grenadian citizenship and then applying for a US E2 visa could take less than six months. Once in the US, an investor can acquire an Employment Authorization Document for a spouse, enabling them to work anywhere in the country. Investors can also send their children to US schools, qualifying for in-state tuition rates and they can travel back and forth freely to their country of origin to take care of business operations back home. Aside from meeting the requirements for citizenship in Grenada, applying for a US E2 visa would involve incorporating a US company, establishing an office with a legitimate phone number and possibly a website. An investor would need to register with the Inland Revenue Service (IRS), open a bank account and deposit a large sum of money (>$100,000). Additionally, a viable business plan will be required to establish a company in the US, potentially via a franchise purchase. Meanwhile, any investor would need to speak a basic level of English and have managerial or executive experience, or at the very least, have an idea of how to run their business. With the possibility of having to wait 10 years and with President Trump ‘attacking’ the H1B and L1 visas, those who can afford to are opting for citizenship in Grenada followed by an application for an E2 visa. So far, the E2 Treaty Investor visa has not made it on to Trump’s radar. Not Qualify for an E Visa? 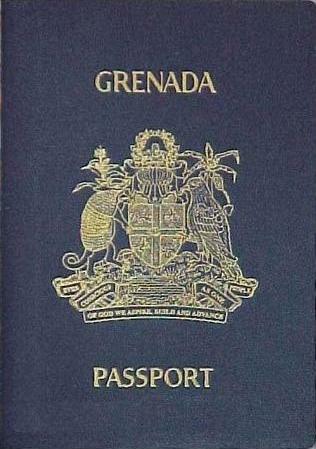 Need to Quickly Acquire Citizenship in Grenada? On Tuesday, August 15, 2017 we posted Issues Concerning Filing a Form 706NA? where we discussed that deceased nonresidents who were not American citizens are subject to U.S. estate taxation with respect to their U.S.-situated assets. We also discussed that Many foreigners owning property or assets in the United States are in violation of 706-NA filing requirements because of a number of misunderstandings. The basic rule is pretty clear-if a foreign decedent has assets in the United States with a gross value in excess of $60,000, the estate is supposed to file a tax return with the Internal Revenue Service. 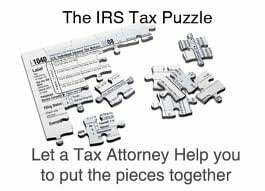 In the area of estate tax compliance, many of us have prepared Form 706’s, the estate tax return for US citizens and domiciliaries. 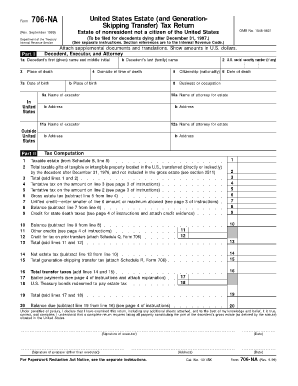 To be sure, this form is quite voluminous and can take a while to fill out but there are very few mysteries beyond schedule E; what percentage of an asset might be includable in an estate, the value of an annuity, what debts and expenses are deductible, the calculation of the marital deduction, and the generation-skipping tax computation. The Form 706NA, however, preparation of the tax return for the estate of the nonresident alien owning property in the United States, can present a more daunting task. 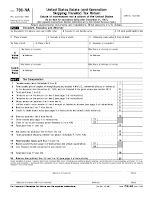 Form 706NA is deceptively simple- two pages- how difficult could it be to prepare? For 32 years as a senior attorney at the IRS, our Estate Tax Attorney Robert S. Blumenfeld audited these tax returns, and he can tell you that they are more fraught with more potential mystery than the Sphinx. Let's look at line 1 where it requests the decedent's name. Many foreign decedents come from countries where people have hyphenated names, especially the spouses. So is the correct name Maria Smith or Maria Smith- Gonzalez? It is often best to go back to the country where the decedent lived and use the name which drops the post hyphenated portion. Most of the tax returns that he has seen or prepared, are based it on this concept. The next box asked for the decedent’s tax identification number. Virtually all American citizens born in the United States are assigned SS#’s at birth so there is no problem. 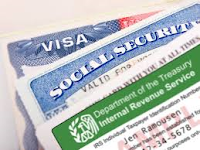 In the case of a nonresident alien (N/A), there is no tax identification number so we enter “N/A-nonresident alien” inbox two. Decedent’s domicile and citizenship are very critical. The United States currently has circa 20 estate/gift tax treaties with foreign countries, many of which are in Europe. A non-resident alien from a non-treaty country receives an estate tax exemption (unified credit) of $13,000 which basically means that the first $60,000 is not taxed. The unified credit for treaty based countries can reach a figure of $5.5 million free of tax. In addition to this, in each instance where one represents a nonresident alien decedent, it is critical to find out whether this is a country which has such a treaty with the United States. 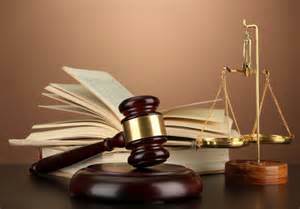 Next, it is critical to determine the citizenship and domicile of the decedent. When one peruses the individual treaties, one will note that some treaties are based on domicile, others on citizenship. A German citizen domiciled in say Mexico would not be able to utilize the German treaty because that particular treaty is predicated on domicile. A Mexican citizen however, domiciled in Germany, could enjoy the full benefit of the US/German treaty. Ergo, a German living in Mexico would have a $60,000 exemption from tax while a Mexican domiciled in Germany would have a $5.5 million exemption. 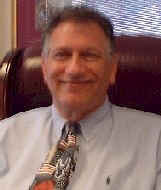 50% Owner Liable for Trust Fund Penalty Despite Not Having Primary Responsibility For Taxes. A district court has determined on summary judgment that a 50% owner of a member-managed company, who was required to sign off on all significant decisions and actions relating to the company, was liable for the trust fund recovery penalty under Code Sec. 6672. The court found that his role in the company established that he was a responsible person, regardless of whether the other owner had primary responsibility for the company's taxes; and he was found to have acted willfully where he knew (or should have known) that the taxes were unpaid but continued to pay other creditors instead. On October 18, 2013 we posted Ireland to Close Highly Criticized Loophole, but Create an Even Bigger One where we discussed that Ireland said it planned to shut down a much-criticized tax arrangement used by Apple Inc to shelter over $40 billion from taxation, but will leave open an even bigger loophole that means the computer giant is unlikely to pay any more tax. The highly criticized arrangement has become known in the tax avoidance industry as the "double Irish". this arrangement has been used by Google, Microsoft & Apple, just to name a few. Now according to Law360, Ireland’s new finance minister rejected demands from the European Union’s competition watchdog to collect €13 billion ($15.3 billion) in back taxes from Apple Inc., saying in an interview published August 16, 2017 that the technology giant did not receive any special tax benefits compared to other businesses. Paschal Donohoe, who has been serving as Ireland’s minister for finance and public expenditure and reform, told the German newspaper Frankfurter Allgemeine that he disagrees with the European Commission’s August 2016 ruling, which concluded that Apple had entered into a sweetheart tax deal with the Irish government to “substantially and artificially” lower its taxes. the EU can Achieve on its Own in this area. Both Ireland and Apple have appealed the commission’s decision, which found that two tax rulings Ireland had issued to Apple in 1991 and 2007, allowing the software giant to allocate almost all of its sales profits to “head offices” that existed only on paper, were in violation of the EU’s state aid rules. Under the EU's unique state aid system, national tax authorities are barred from giving benefits to some companies that are not available to others, and member states cannot treat multinational companies more favorably than standalone companies. The commission said that the allocation of profits to head offices, with no employees or physical locations, allowed Apple’s effective corporate tax rate to go down from 1 percent in 2003 to 0.005 percent in 2014 on the profits of the Irish-incorporated subsidiary Apple Sales International. 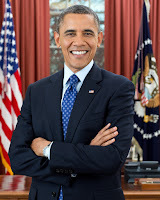 The commission’s investigations into Apple’s tax arrangements, as well as those of Starbucks Corp., had previously drawn the ire of the Obama administration, which complained that the commission appeared to be unfairly targeting U.S. businesses and that American taxpayers may end up having to foot the bill for foreign tax credits that the companies may be able to claim following a retroactive imposition of taxes. A U.S. government has filed an application to intervene in Apple’s suit so that it can have its say on the retroactive application of state aid rules to the company. 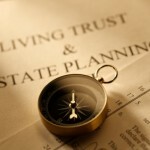 Need Tax Efficient Tax Planning?